Chicago has been called a city of neighborhoods, which may be one of its less-catchy monikers, but it also happens to be true. 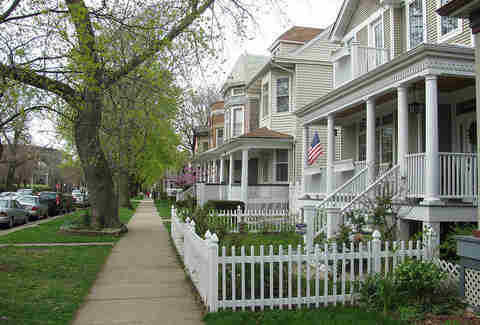 And those neighborhoods have many fine qualities and eclectic charms... but they also have some lesser points. And some lesser, lesser points. Read on to find out what those are, and if you don't see your least favorite 'hood, feel free to expound on it in the comments. 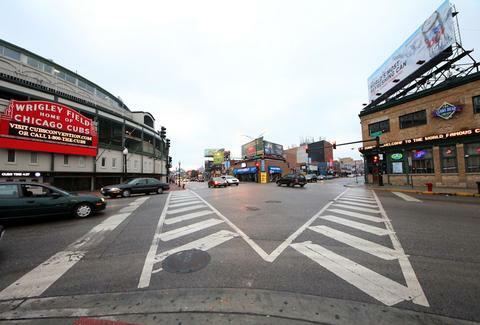 Wrigleyville: The nation’s greatest living monument to failure and public intoxication. Game days are obviously a waking nightmare, but it really manages to encapsulate a fraternity party from hell year-round. You can gauge the seasons by how vigorously mini-skirted 21yr-olds are shivering while waiting to get into Moe’s Cantina. Even the most liberally applied body spray can’t do much to overpower the scent of urine, stale vomit, and shame. Lincoln Park: Split between college students and 28yr-olds who haven’t moved on from being college students. If you ever see someone taking their co-ed recreational kickball game WAY too seriously, there is a 106% chance he lives somewhere on Belden between Clark and Lincoln. Take an LP resident to a bar without flatscreen TVs or potato skins and they quickly become disoriented and irritable. Wicker Park: People still somehow act like living in Wicker Park makes them kind of edgy when it’s basically been a more Westerly version of Lincoln Park for like 10 years now. Milwaukee Ave is teeming with disaffected suburbanite teens whose parents dropped them off to shop for vintage clothing that will impress people in art class. Also, walking or driving across six corners takes six pieces of your soul. Every. Single. Time. Bucktown: Do you enjoy the faux-hipness of Wicker Park but wish it had more disapproving glances from stroller moms who catch you staring at their yoga pants even though they kind of appreciate the attention because their attorney husband is cheating with his secretary and she would like to leave him but have you SEEN their condo?! Welcome to Bucktown! Logan Square: Already well on the path to being the next Wicker Park. Actually it’s basically there. 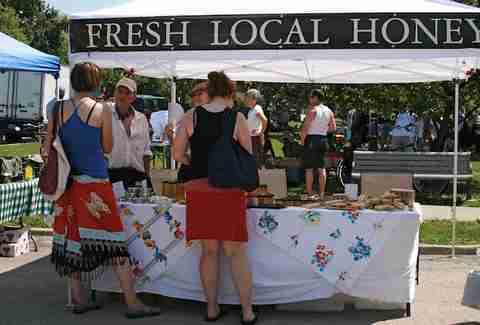 The Logan Square Farmer’s Market is like Disney World for “cool” parents toting toddlers clad in baby Toms and glancing disapprovingly at anyone who neglected to bring a canvas bag. Good luck walking into New Wave and not seeing three people you would punch immediately if not for fear of becoming entangled in their elaborate facial hair. Pilsen: Are you a condescending artist whose parents are supplementing your income JUST enough that you can afford to pay rent and subsist on tacos (admittedly delicious, inexpensive tacos) while pretending you’re actually scraping by only with grit and freelance graphic design work? Pilsen is calling. Old Town: Old Town? More like Old PEOPLE! Right? RIGHT?! But seriously, Old Town isn’t just for hitting Wells St and watching some retirees mistreat a server who’s just trying to earn enough to keep taking Second City classes. There are plenty of 20-somethings who are total d*cks, too. Streeterville: People who want to live in Chicago but are afraid of just about everything about it live in Streeterville. Parking on the street? Yikes! Poor people? Terrifying! But at least they’re right near Navy Pier, which… okay clearly we’re ripping on a lot of things in this article, but in all seriousness Navy Pier is the worst place in the city. Possibly the state. In the running for galaxy. River North: Remember how River North used to be way seedier with lots more “adult book stores” and whatnot? Us neither. Where were we? Oh yeah, Hubbard St is like Clark St with fewer pairs of cargo shorts and more guys named Blaine. Gold Coast: A quick 10min stroll around the Gold Coast is definitive proof that money cannot buy taste. Lincoln Square: People from Lincoln Square LOVE telling you they live in Lincoln Square. They actually pause after they say “Lincoln Square” and wait for the obligatory part where you tell them how ADORABLE it is. It’s a quaint, sleepy suburb that somehow infiltrated the city. It’s about as much fun as Naperville. West Loop: You’re happy to tell people about all the great restaurants in your neighborhood. What you don’t tell them is you spend most nights ordering takeout from Dragonfly and watching a little Storage Wars on DVR before waiting for your French bulldog to poop on the sidewalk while you think about quitting your consulting job. Also, it's mystifying more people don't get hit by cars on Randolph St.
South Loop: FACT: 87% of South Loop residents bought a condo before the real estate market crashed, assured the area was about to develop like crazy, only to regret it. They’re trying to save money for a new place but they keep spending it on cabs to take them away from the South Loop. Loop: Hahaha… wait, does anyone actually live in the Loop? This is a serious question. Yes, yes, we know we missed some others. So tell us what people are saying about any/all of those places behind their backs in the comments section below.